French is not the easiest of languages. On our S. France trip, combined with a smile, you may find some of these phrases helpful. Although most of The Women’s Travel Group days are pre-planned you might venture around lovely Nice for some shopping time or to see more of its fascinating streets. Coming solo or with a friend, a little wandering is definitely worth the effort. Ahead of time, make a list in your phone of phrases you might need. Google translation is great but you will need wifi to access it while out of the hotel. 2—Pouvez-vous le faire en une journée? Can you do it in one day? 3—Pouvez-vous changer de l’argent pour moi? Can you change money for me? 5— Je suis pressee. I am in a hurry. 6— WeeFee is wifi. Weefee gratuit is free wifi. Bon Voyage. Ask other women traveling to join you, there is still one spot left on Southern France and The Mediterranean from The Women’s Travel Group. 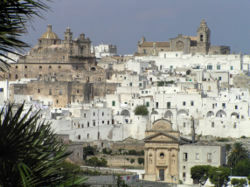 Next trip: Ultra Italy from Rome then a sweep through the best including Apuglia, Amalfi Coast, Tuscany, Cinque Terra.